Yearly, 5.2 million babies are born in the EU, of which approximately 104,000 (2%) will be born with congenital anomalies (data: WHO). 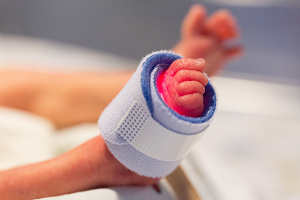 This creates a new challenge to medical staff: how to communicate, interact and support the parents of newborns with congenital disabilities and subsequently complex needs. In order to secure their normal development which should start as early as possible, an early stimulation and intervention of premature babies and babies with congenital disabilities is very important. The parents alongside with the medical professionals have a key role in the babies’ development and in stabilizing the family at this critical stage (a newborn with a disability).